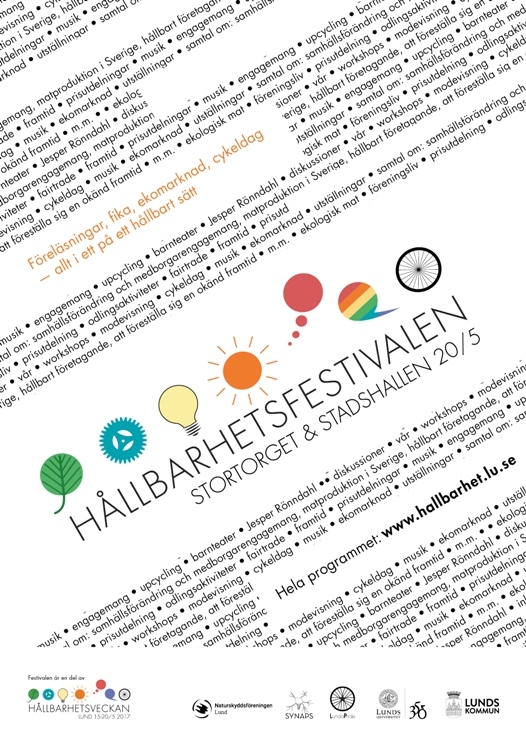 Symbols for the Sustainability Week and Sustainability Festival (Hållbarhetsfestivalen) in Lund, Sweden, 2017. 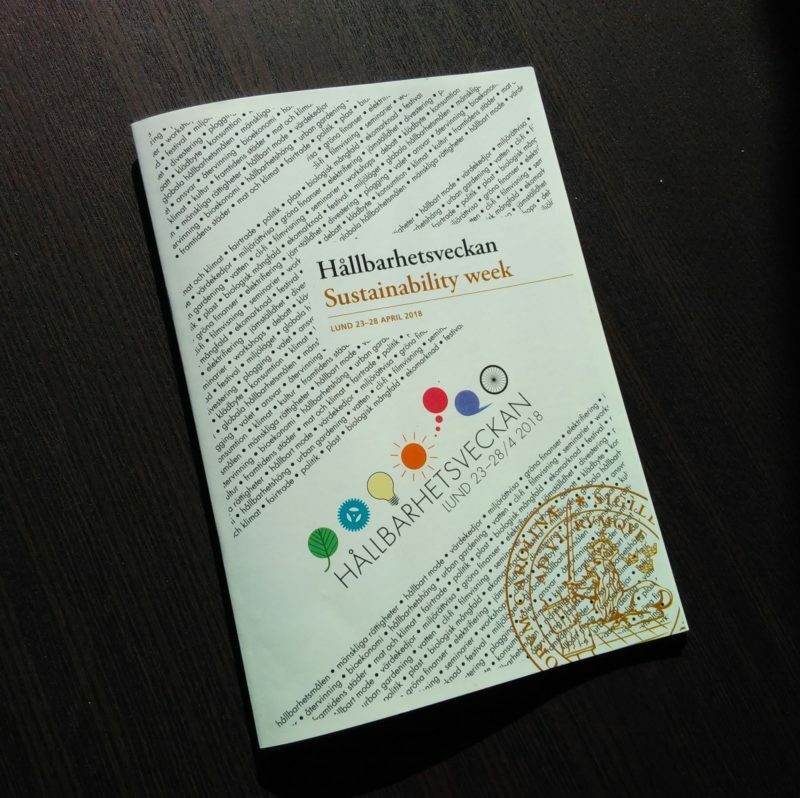 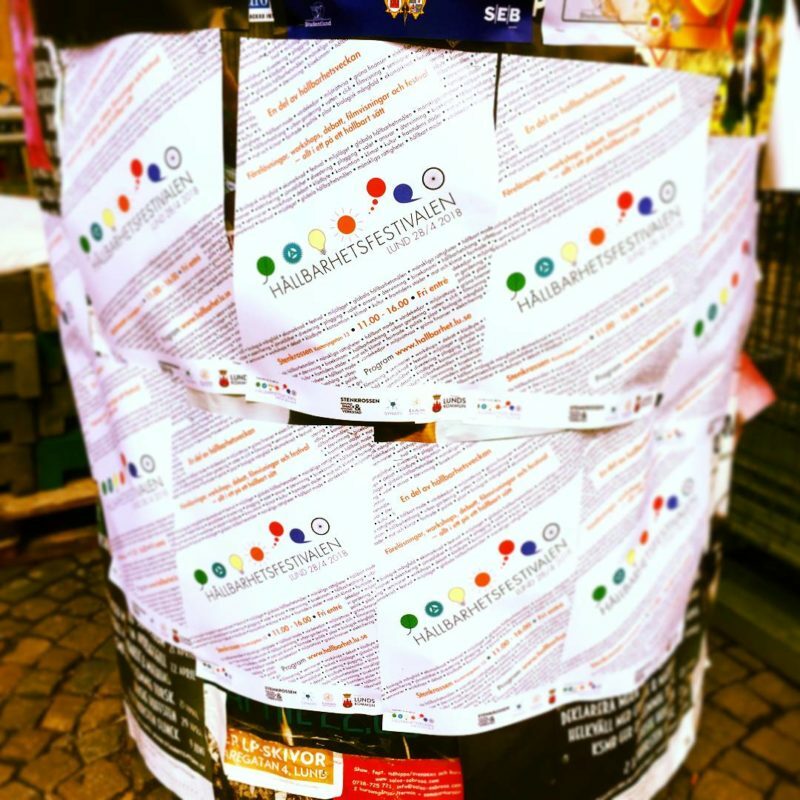 The Sustainability Week was one of the topical weeks of the Lund University 350 year anniversary. 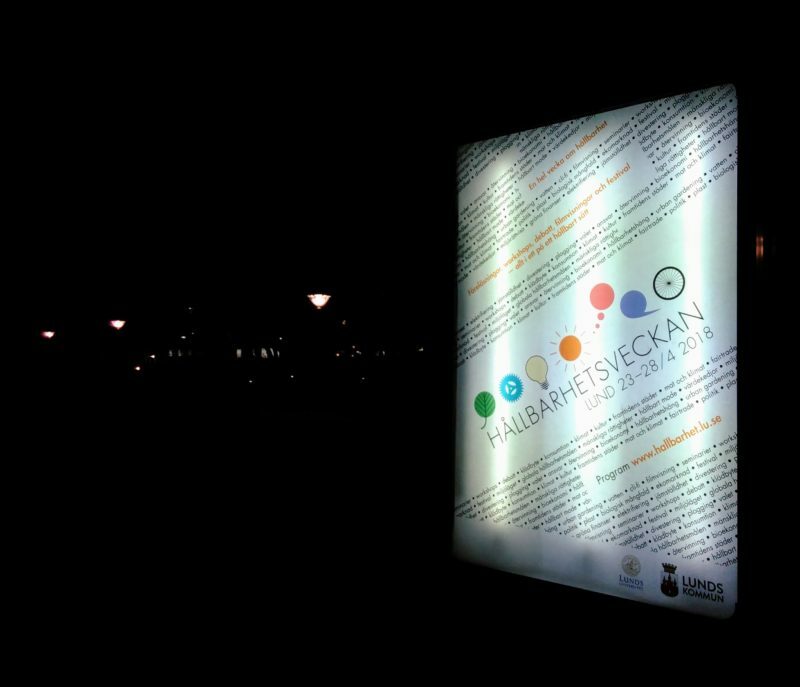 The “symbol” includes 7 symbols hinting at the broad scope of the week and the festival. 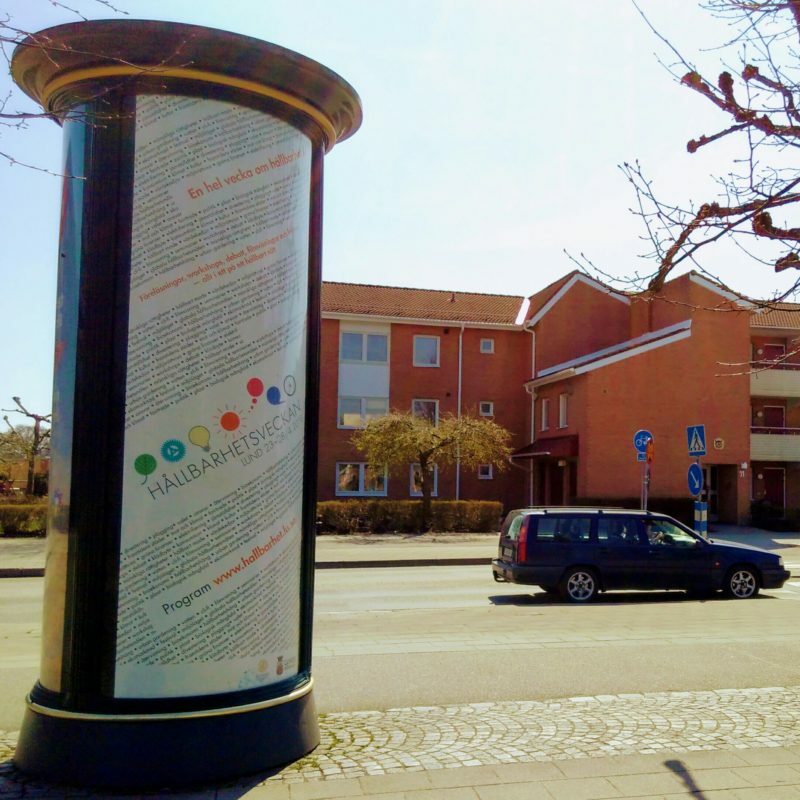 The project also included newspaper ads, billboards, posters, programme booklets, info signs and TV spots for buses and trains. 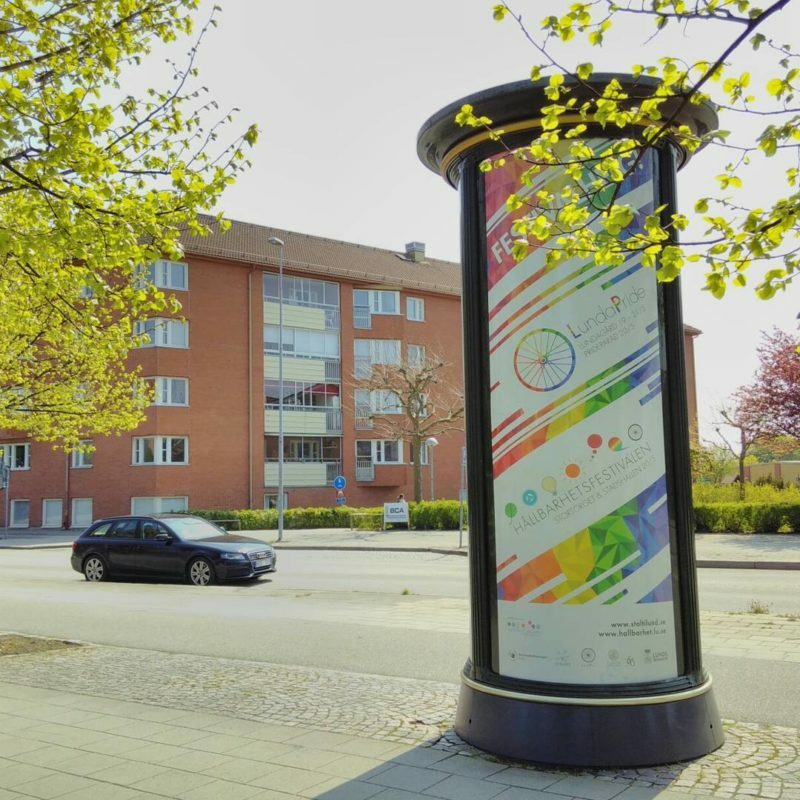 The large scale posters and TV spots were a collaboration with the Pride festival in Lund, incorporating their signature rainbow-coloured pattern. 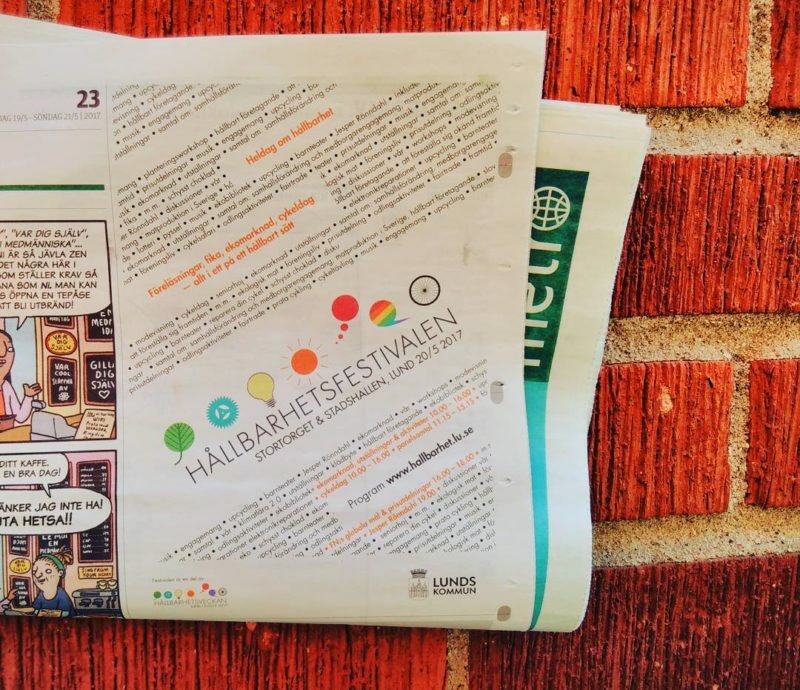 The festival, one of the main events of the week, was organised by Synaps, Lund University, the City of Lund and Naturskyddsföreningen, with many more contributing. 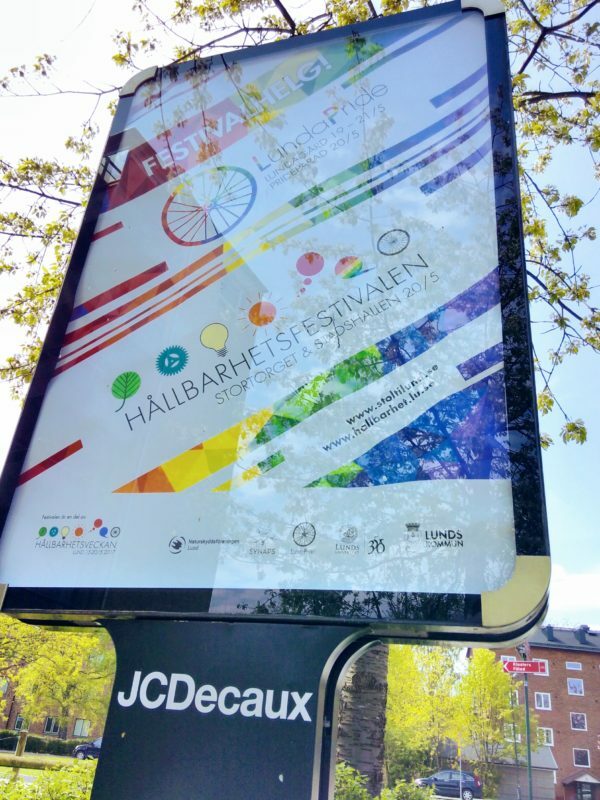 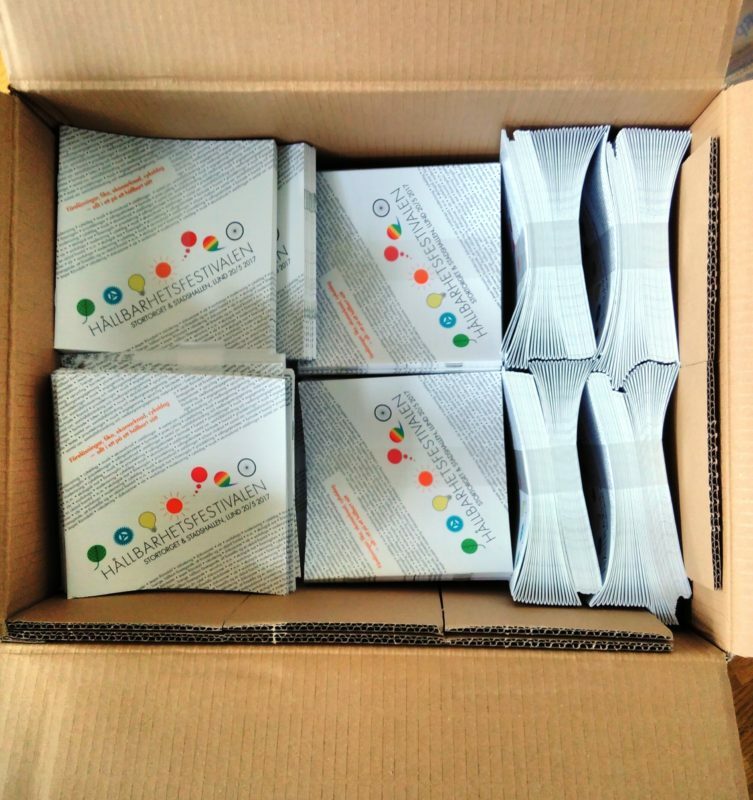 The week and festival took place again in 2018, and we made updated versions of posters, programme posters and booklet covers, as well as large scale billboards that were posted all over Lund.